When dealing with the outdoors, your gear is especially critical in your success or failure. Having the right tool for the right situation can be the difference between the thrill of victory or the agony of defeat. In the world of fishing, your reel choice is one of those critical pieces. I see fisherman who are extremely loyal to a certain brand name...why? They believe that the product is going to give them that much needed edge to succeed. It is confidence that so often can be the real difference. Whether it's belief in a certain type of lure, line, reel or rod, confidence is everything. I had a friend who was not handicapped or disabled. He loved to fish but did not fish the last 10-15 years of his life because arthritis in his hands caused him so much pain. Enter the Electric Reel! Had my friend had one of these babies, he could've continue to pursue his passions for much longer with a lot less pain and a lot more confidence. Imagine what something like that could do for your loved one who is disabled or handicapped whether young or old? For a long time, this was a fantasy - to put a powered, mechanized something-or-other on a reel to make it take in the line at the touch of a button. Sci-fi has become reality and today's article is going to break this down for you. At present, I am still using a rod and reel the old fashioned way of chunking and winding so I am hoping some of my blog readers can give some perspective in the comments if they have used any of the following reels. First Up - The Power Fish'n Pro Electric Reel made by Rock Island Equipment Company has a great tried and true solution for freshwater. 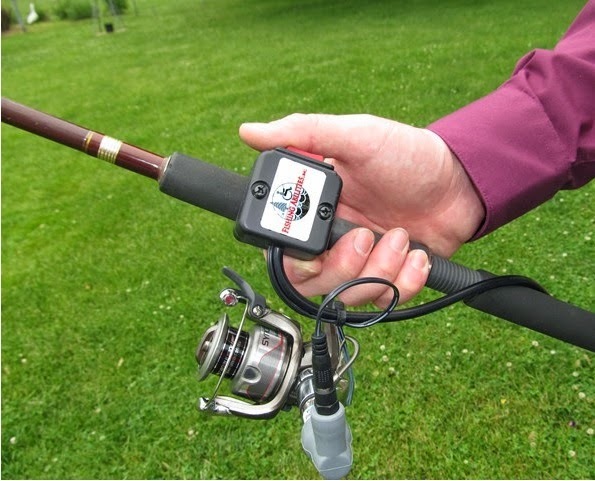 It is a basic set-up on a Shakespeare spinning reel with a motor that winds in your bait. It is backed by a solid company that is manufacturing and guaranteeing it and will assist you with parts as necessary. The reel is powered by 4 "AA" batteries and according to Jerry Wetzel, the Production Manager for Rock Island, will give you around 16-20 hours of fishing. It is good to use re-chargeable batteries so you can pop fully charged ones in if the first set begins to wain. The website offers some excellent videos with fishing pro and Hall of Famer, Dan Galusha on how to use the reel to present different lures correctly as well as knots, how to's, etc. Mr. Wetzel did mention that there are some who are using the reel in light saltwater and it works fine however he cautions that the real design of the reel was for freshwater and that saltwater air can cause corrosion of some of the components. If you intend to use this reel near the coast for in-shore action, be sure to do due diligence to take care of the reel. 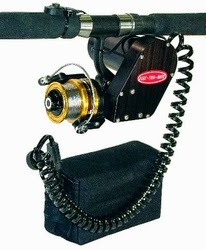 Although I have never had the privilege of testing this reel, it seems to be more than adequate in providing a solution for someone who is losing or has lost the ability to reel the line in. Price of the reel is $299 and can be ordered from the website link above. The next reel is made by Elec-Tra-Mate 450PTH. It doesn't play around with a strong build and tough motor. Crafted after Elec-Tra-Mate's deep water reels that tackle offshore monsters this is a fresh-water beast starting with a Penn 450SSG reel. 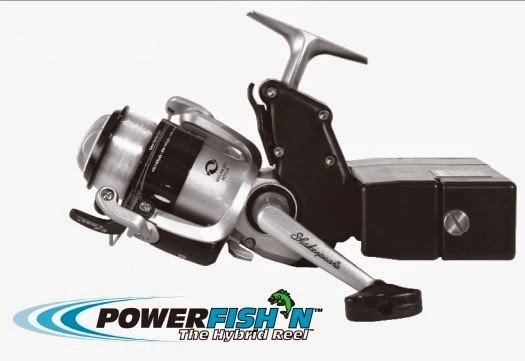 Penn makes great spinning reels so this reel can definitely handle freshwater or light saltwater environments. It only weighs 18 oz but depending on the angler is still something to be considered. An odd feature is the size and the bulk of the set up. It's like you are carrying a 1980's cell phone with you...bag included. (Yes, cell phones once came with a bag for the younger generation!) Having a tether to a battery pack may prove arduous but looks can be deceiving. The price of the reel is $409-$429 which is the highest in this article. Don't get me wrong, you get what you pay for. Penn reels are not cheap for a reason. They are very dependable. So if you are looking for that duel threat fresh/saltwater real, then this may be a good option for you. Lastly, they do offer an electric Bait-Casting reel. It seems to be tailored more for saltwater, but it can work for big bass, catfish and stripers. If trolling and reef fishing is your thing then perk up and pay attention! Fish Winch is a company that seems to be on top of this game and in some ways competes directly with Elec-Tra-Mate for deep-water drop down rigs and trolling. I spoke with Ryan from Fish Winch who was very helpful in explaining their niche. They offer bait-casting style reels only and are comfortable in the solution that they provide which I like very much. Ryan explained that their systems are really designed for two-handed warfare against game fish that you have to use large sinkers to get the bait to the fish or for those trolling environments when the fish hits and the boat doesn't stop. The electric motor is powerful and quiet and makes easy work in aiding fishermen in not having to kill themselves to land the animal. If you have ever been deep-water reef fishing, forget the animal...just reeling in the stinking weight can cause cramping. These reels are designed to bring those weights up with ease. Price is $299 and they offer a very wide selection of saltwater reels to choose from. The weight is 2.9 lbs however if you are fishing with the rod in a holder or a fighting chair...it weighs nothing - hehe! Ryan also mentioned that they have the longest warranty of anyone else in the electric reel market and for Joe consumer, that is nice! Updated as of 2/14/16 - The reviews I have heard on the product below has been less than stellar. Be careful and informed before purchasing this setup. The design is amazing. The performance is evidently still not perfected. I wish Fishing Abilities all the success they deserve as they strive to make their product one of the best alternatives on the market. I also respect my readers and want them to be informed of potential problems with this product in its current form. The last reel is from a relatively new company - Fishing Abilities Inc. It is called the Freedom Fishr and is based on a simple solution to the problem - give the fisherman a powered help. I spoke with Dan Badur who is the President of Fishing Abilities. 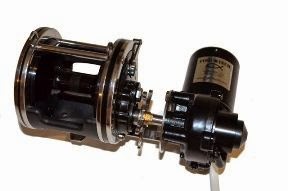 They start with a Shimano reel that has been joined with a motor that simply cranks the mechanism where the handle used to be which is powered by a 12 volt battery pack. It is small for a mechanism which is a big advantage and only adds an additional 3-4 ounces to the reel. Secondly, the switch that comes with the reel gives you a neat speed control function as to how fast you want the reel to take in line. The switch that mounts to the rod has a rocker switch which gives you the function of two buttons. One button will take in line as fast as the reel can go. The other button however reels in line at the speed that you determine with a dial on the battery pack. Depending on the bait of choice and how fast or slow you want to present that bait to the fish is up to you to adjust. In the future, they hope to offer a "sip" and "puff" option for those fisherman who cannot use their arms in rigorous activity. The company went through it's beta testing phase last year and is going public with the retail sale of it's product at the time that this article is written. Dan said that the reel would well in both freshwater and saltwater environments. I once watched a guy catch a 10-15 lb bull Red on a Zebco 33 so anything is possible right? Price is $199 at the time of this article and can be ordered from the website provided above. I hope this article helps all of those who may be in the need for some assistance to aid you in the adventure of staying on the waters edge or giving the gift of fishing to a needed loved one. Remember that good upkeep of reels like these is a premium. Always store them inside and away from the elements...even the ones that are meant for the harshest of environments. 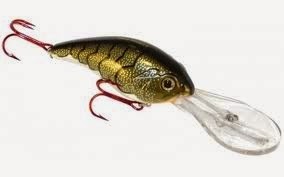 Summer time is upon us and as the heat builds there are two really good fishing bites that are both tremendously exciting. Obviously there is the summer top-water bite using anything from torpedoes to working the Lilly pads with a floating frog-style lure. However, the other way to fish the summer time bite is to go deep. 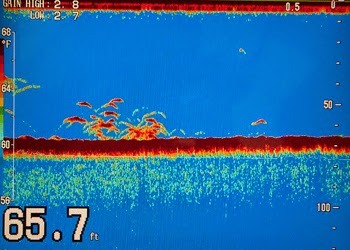 It is amazing how many people skip this zone when some of the biggest fish in the lake choose to suspend in the cooler environment of fifteen feet or deeper. I hope to give you some really good tips on how to get at these fish without killing yourself in the process. If you are a seasoned fisherman, then you know the power of a good selection of crank-baits to get fish to engage and feed sometimes even when they aren't in the mood. Crank-baits produce the reaction-bite that bass are renowned to have and one of the main reasons we love to fish for them...they are mean and will kill even when they are not hungry! The downfall of crank-bait fishing is that they are tiring even for touring professionals. They are typically heavy, large-bodied lures and the lips which help them get deep only works due to the resistance created when dragged through the water causing them to dive. For someone who has a handicap, elderly or simply injured this can cause some serious fatigue on the wrists and arms from casting and reeling these lures in over and over. But, there are some solutions that may be the answer for this. Most fisherman make the mistake of using what is obvious, their hands, wrists and arms. I had the amazing privilege of spending about 15 minutes with touring pro Jason Quinn at a BassPro Shops Spring Fever event a few years back. His instructional period was on deep water crank-baits and so after he was done teaching, I had the chance to question him about my situation and how he thought I could accomplish the task of reeling in these lures. I was a bit surprised at his answer. He said, "I couldn't stand on a fishing deck and do that all day either." He went on to explain that just like any other athlete, it is important to get your core involved (see diagram below). By placing his rod against his hip or under his arm and rotating his torso, he pulls the lure through the strike-zone, stopping to reel up the slack and swinging his rod back pointing at the target and then repeats the sweeping motion again and again. This enables him to fish for long periods without tiring-out or becoming fatigued and also allows him to set the hook using his biggest muscles during the retrieve. I tried it and it works! I can last a lot longer and miss less fish because my hands and wrists are not tired from reeling. Whether you are handicapped, elderly, or injured, involving the big muscles of your body especially your core is critical in sustaining longevity in fishing and the great outdoors. Once I put a little bit of faith in the tip that Mr. Quinn gave me, it revolutionized my experience and gave me back a zone of fishing I had frankly given up on because after about an hour it just hurt. Don't over-due it when casting. The casting motion should be fluid, not jerky. Allow the weight of the lure to propel it. You typically can throw these lures a country-mile so no need to over exert yourself just getting it out there. You don't have to rip the fish's lips off when setting the hook either. Most of the time the fish will set the hook themselves when they hit the bait. Just keep sweeping and reeling but don't get frustrated if you lose a fish. It's just part of crank-bait fishing...you're going to lose some! Lastly, "deep" is a relative term. If you have ever swam in a lake, then you know just five feet down there is a big change in water temperature. Bass will hold shallow all year long on the edges of flats to feed on shad or spawning blue-gill and retreat to any deeper water to get out of the stress the hot water might put on them but that may mean a change of only a few feet in depth. If the deepest point of the water you fish is 6-10 feet, then target that. Have a great summer of deep water cranking. Leave no zone unchallenged! Not only will you catch the biggest fish in the lake but typically you will find them stacked up in numbers also. In the world of fishing, there is nothing quite as important as the line that connects you with the fish. Regardless whether you are a seasoned professional or the weekend angler, the type of line that you use is incredibly important as to whether or not your hook-up ratio will be high or low. As time went on and my physical condition began to worsen, mono-filament line really no longer gave me the edge I needed. There were many braided lines on the market and I began to try these. 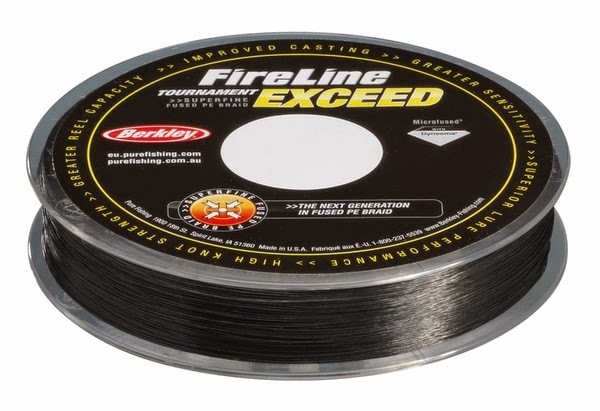 They are all very good and give you low stretch will give you a better hook-set, however I found one in particular that I like a lot - Berkley Fire-Line. In the fresh-water environment, you rarely need higher than a 10-12 lb test-line because a braided line is super tough and nick resistant. I have pulled entire trees out of the lake with the stuff. But, what is really advantageous about it, is the line comes in a much smaller diameter than the mono-filament line in the same pound test which inadvertently tackled another problem entirely. As my strength began to wain, I found I could no longer manipulate a bait-casting rig very well. A good spinning reel proved invaluable. I figured if a majority of in-shore saltwater fishing is done on spinning reels then certainly they can do the trick in fresh-water. Spinning reels work best on smaller diameter lines than the bail of the reel. Additionally, the lower diameter allowed the baits that I prefer to use to really get the greatest action out of them. So, let's recap! Get a good braided style line that you like. Match it with a good rod and reel combo and you should see that all important hook-up ratio go through the rough! One last tip or two - Because the braided lines are so tough you will need good pair of clippers or scissors made especially for braided line and remember that the higher the line test, the tougher it's going to be to cut. The other real secret is to take your time in tying a good knot. Try to make it really sit down on the bait or hook. Once you do, it is almost impossible to break. 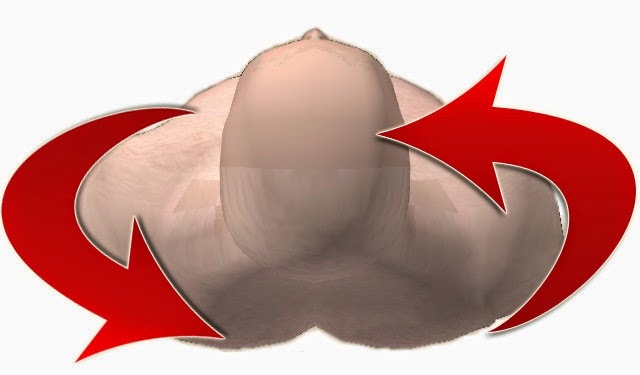 Lastly, the line is so tough that you need to make sure your drag-system is set correctly. You can mess up your reel if your ego is too big to give the fish a little line.